Thinking about buying a home this summer? The sunniest time of year is great for exploring new neighborhoods and visualizing future patio parties during viewings. But before you start any serious shopping, it’s important to understand what the housing market is like for buyers right now, and what you can do to end up with the best home—and the best price—for you. The housing market should be just as strong this summer as it’s been all spring. Existing home sales and list prices have risen this year, and starter home inventory has plummeted by 14 percent. But there are perks to house hunting right now, too. Here are some facts and tips to help you get the most out of this year’s summer housing market. Summer may be a busy home-buying season, but it’s not as crazy as spring. In fact, prices drop from May through October. If you can hang on until late August, you could find a really great deal—that’s when nearly 14 percent of listings get a price cut. PMI is getting more affordable. There’s good financing news, too: Private mortgage insurance (PMI) is getting cheaper after PMI lenders MGIC and Radian lowered their rates this spring. “That’s going to cause most of these PMI companies to be competitive, which is going to bring them all down,” Knoxville real estate agent Nic Nicaud says. Because PMI is typically required when homebuyers have a down payment of less than 20 percent, that means it’ll be cheaper for some buyers to get into homes sooner. When homes are flying off the market within days, it’s easy to think a listing that’s a week or so old is a red flag. Minneapolis real estate agent Danny Dietl says that’s not always the case. In his experience, it’s often because a buyer got cold feet and pulled out of a deal on a perfectly good house. But thanks to the assumptions people make about older listings in busy markets, the delay can cause the price to come down. In a competitive market, it’s important to be flexible. That could mean going with a fixer-upper, even if you were imagining a move-in ready dream home. There are just more of them out there: The number of starter homes on the market is shrinking, but there are 8.3 percent more fixer-uppers among them than there were six years ago. 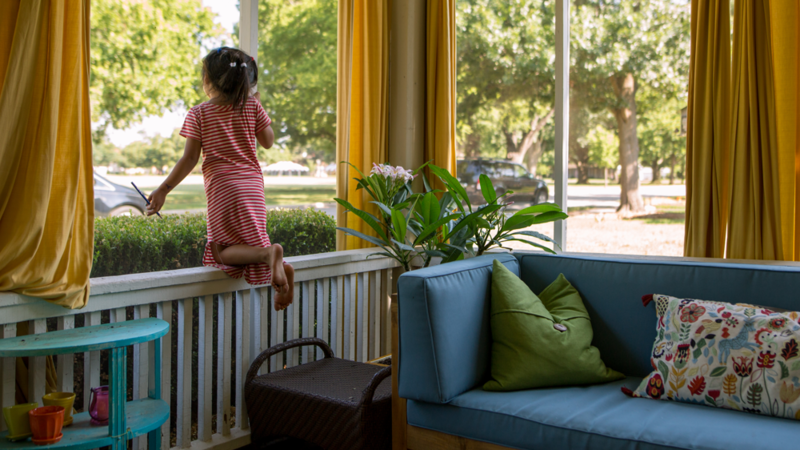 In competitive markets, it’s tempting to make an offer on any available property that fits your criteria, but if it’s in the wrong neighborhood, you may never end up feeling at home in your house. Take the time to do some community scouting before making an offer. You might notice convenient parks and new playmates for your kids—or be relieved to find more nightclubs than strollers on your block. You can even find out what your future neighbors have to say about the area with the new What Locals Say feature on listings throughout Trulia. Obviously, now is not the time for low-ball offers. But the strongest offer isn’t always the highest one. Dietl says cash offers are often the secret to a winning bid. “You can even actually be the highest offer by thousands of dollars, and a cash offer may take precedence,” he says. Sure, coming up with a cash offer could be tough for many buyers. But there are other ways to make a strong offer that don’t require gobs of money: Including generous contingencies, like a shorter closing or inspection period, and writing a great offer letter can help make your offer stand out.